Located in highly-desirable Bethesda, Maryland, The Lauren is the epitome of the ultra-high end luxury boutique condominium. There are only 29 residences in this downtown seven-story building. And with prices ranging from $1.5 million to over $5 million, you can bet this place is exclusive. In fact, the developers of this brand-new project are planning on one even more expensive unit—a 7,300 square foot penthouse that will be priced at $10.5 million. With a 2017 completion target, developers TTR/Sotheby’s, 1788 Holdings and Persimmon Capital Partners along with architects Robert M. Swerdroe and the Akseizer Design Group (ADG), have teamed up on a very sweet project indeed. Forget your mini-home trend, floorplans for these urban residences start at 1,400 square feet and climb to over 6,000 square feet (not counting the penthouse). In a word, spectacular. 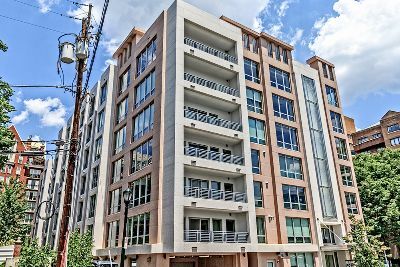 Located at 4802 Montgomery Lane, this new Bethesda building joins the ranks of the quickly swelling luxury condominiums in the downtown area. Others include The Darcy, 930 Rose, Stonehall Bethesda, Cheval Bethesda, Lionsgate at Woodmont and Hampden Row. The lifestyle experience at The Lauren begins with the floorplans. These unusually large city residences include one bedroom plus den, two bedrooms plus office, two bedrooms plus library, three bedrooms plus breakfast room, three bedrooms plus office, and the three-bedrooms plus den, master study, formal dining room, bar, maid’s quarters and grand terrace! You can toss in direct elevator access, premium hardwood floors, private outdoor spaces, floor-to-ceiling windows, vented fireplaces, slab stone and marble countertops, Wolf, Bosch and SubZero appliances and much more. And even though there’s only 29 units here, residents will also enjoy a two-story lobby with 24/7 front desk, highly-personalized concierge service, a resident sommelier, valet laundry, dry-cleaning and alterations, pet services, a wine lounge & screening room, valet parking, automotive care, a state-of-the-art fitness center, private guest suites and an amazing rooftop terrace.But perhaps one wishes to forgo the building’s wine bar and resident sommelier and stroll over to Jaleo by Jose Andres, Mussel Bar and Grille by Robert Wiedmaier, Vino Volo or any other number of hotspots. That’s perfectly okay—you can always end the evening with a nightcap on your own private terrace. It’s all about options at The Lauren. Call District Partners Real Estate at 202-798-3600 to learn more.